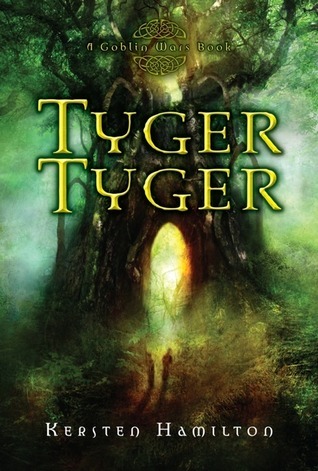 Summary: Teagan Wylltson's best friend, Abby, dreams that horrifying creatures--goblins, shape-shifters, and beings of unearthly beauty but terrible cruelty--are hunting Teagan. Abby is always coming up with crazy stuff, though, so Teagan isn't worried. Her life isn't in danger. In fact, it's perfect. She's on track for a college scholarship. She has a great job. She's focused on school, work, and her future. No boys, no heartaches, no problems. Please leave in your comment if your in the US or international! Make sure Book Depo ships to you! Please check here and let me know what country your in with your comment!This is a requirement to enter!!!! I've heard so many amazing things about this! Please enter me! I have this on my wishlist so please enter me in the giveaway. I am International from South Africa,and I use the Book Depository so I know they ship to here. Oh my gosh, I would love to win Tyger Tyger, it sounds sooo good. Thanks again! From the US. I've been wanting to read this for quite some time now. Thanks for the chance. I've heard this is an awesome book. Nice. been wanting to read this. I have been dying to read this book! I am in the US. Ooh, I'd love to be entered for this! I'm international (Canada) so the BD ships to me. Thanks! I am international follower from Finland. I'm from the U.S.! Thanks for the contest! I definitely want to win this one! I'm in the USA. Thanks! Woah, 10 copies! That is incredible. I'm in the US! i'd love to enter! I'm in the US! Enter me please! Thank you so much for the contest. I live in the U.S. Thanks for hosting the giveaway! I'm in the US. I'm international, please enter me! I'm in the UK, they do ship to me. I've been wanting this one for awhile now! Please enter me. I'd like to be entered to wiin this one. Thank you! I've heard this is awesome and I would love to see for myself please enter me! I'm international (Canada). Thanks for the giveaway! oh my, please enter me too!! I've heard fantastic things about the book and would love to read it!! Please count me in. I'm an international follower (Indonesia). I would love to read this! Please count me in. I've been wanting to read this book ever since the cover was revealed for it. So far, I have not read any books involving goblins, so I'm definitely interested. Thanks for the giveaway!! I've been looking forward to reading this one. Thanks for the giveaway! Count me in! I live in the US.